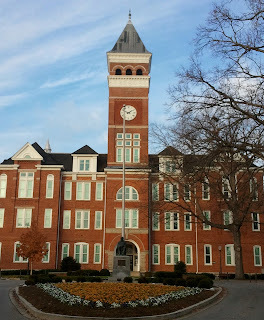 It was a beautiful, crisp December morning to take a walk around one of my favorite campuses, Clemson University. It had been a while since I got to enjoy the town. When 80,000+ invade this tiny place on football weekends, we're usually stuck out in Anderson or even Greenville. But since we're here for hoops tonight (#8 Arizona in town), we get to dig in for a bit. It's a fairly serene setting on Lake Hartwell for the place known as Death Valley, and it's trademark football craziness. All around town there are orange tiger paws on the street and IPTAY signs everywhere. It took me years to figure out what IPTAY meant: I Pay Ten A Year. It is the official fundraising arm for all Clemson athletics. 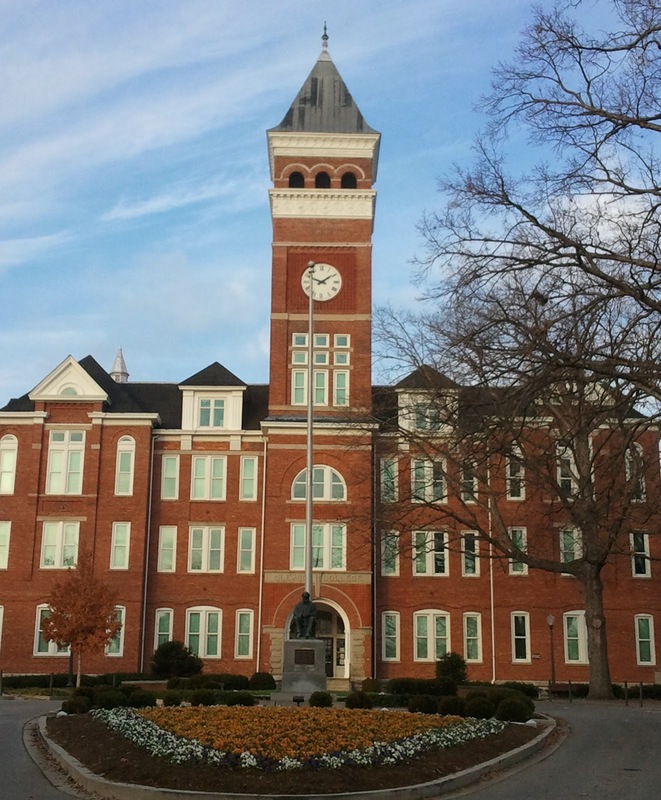 If you are a member, one of the perks is preferred parking which is essential at Clemson. Prices have risen substantially since IPTAY was founded in 1935. One thing that disappointed me in the campus area this morning was there was no little college dive to eat breakfast. 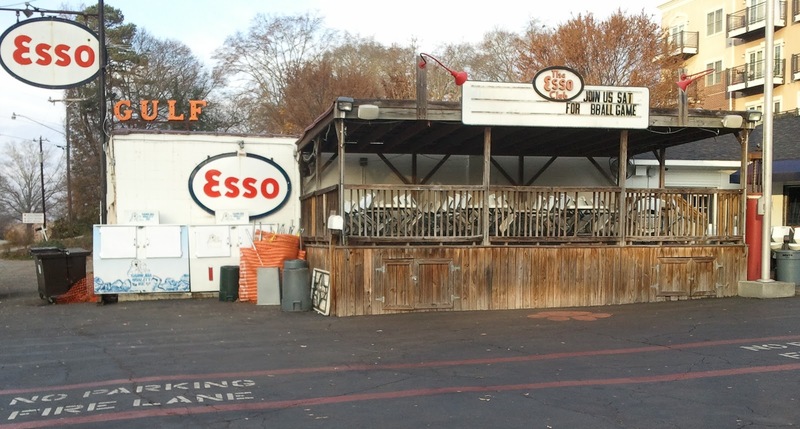 There are plenty of restaurants and bars, including one of my favorites: The Esso Club, the one-time filling station was converted into a bar and grill, and is the spot to go after a Clemson game. But no breakfast. At least I couldn't find one. I had printed out a bunch of homework for a future game, and had hoped to sit at some subversive type liberal coffee joint, being served by a bespectacled, tattooed and over-pierced barista while did my reading. Not to be in Clemson. I pulled up to a Huddle House in the family roadster (complete with Obama/Biden car magnet), with a Starbucks in hand and a legal pad under my arm. People must've thought I was from another planet. Maybe I should move here and bring some contrast to this place. And then maybe run for Senate? I hear there's an opening.